The health benefits of marvellous melons! Melons are deliciously refreshing fruits to enjoy in the summer, either on their own or as part of a colourful fruit salad. 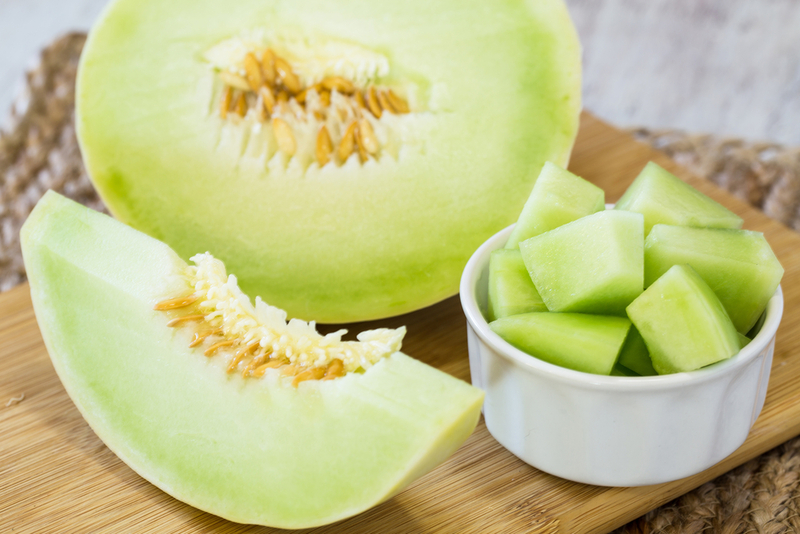 Packed with nutrients, and full of colour and flavour, Clinical Nutritionist Suzie Sawyer whets the appetite for three tasty varieties – watermelon, cantaloupe and honeydew. Melons come from the same family as squash – part of the gourd family – and were first cultivated around 4,000 years ago, originally in south-east Asia. They tend to fall into two categories: Citrillus lanatus or watermelons and Cucumus melo which includes honeydew and cantaloupe. Unlike bananas, melons don’t get any sweeter after they’ve been picked. 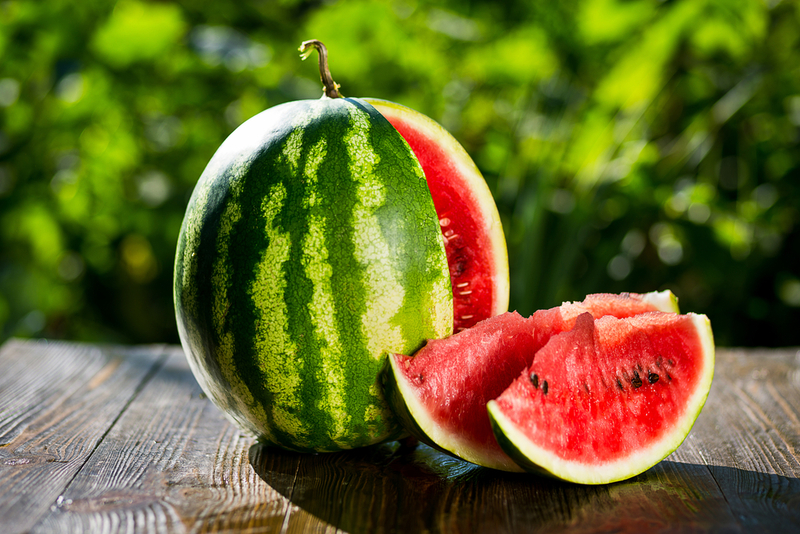 To judge if they’re ripe enough to eat, you should tap watermelons and listen for a dull sound, whereas honeydews should be just slightly soft when pressing the skin. Cantaloupes should give off a strong, fruity aroma. Melons, as with a number of other fruits and vegetables, are especially good for alkalising the body. The body is naturally more alkaline than acidic (around Ph 7) therefore, it’s much healthier to maintain its natural state. Stress and a very high protein diet can cause more acidity and also problems with acid reflux, therefore melons can help to restore natural balance. Melons are actually digested quite quickly and certainly quicker than a number of other fruits. For this reason, they’re generally better eaten alone if you suffer from sluggish digestion. However, they do of course, taste delicious when mixed with other fruits and generally don’t cause any digestive problems for most people. 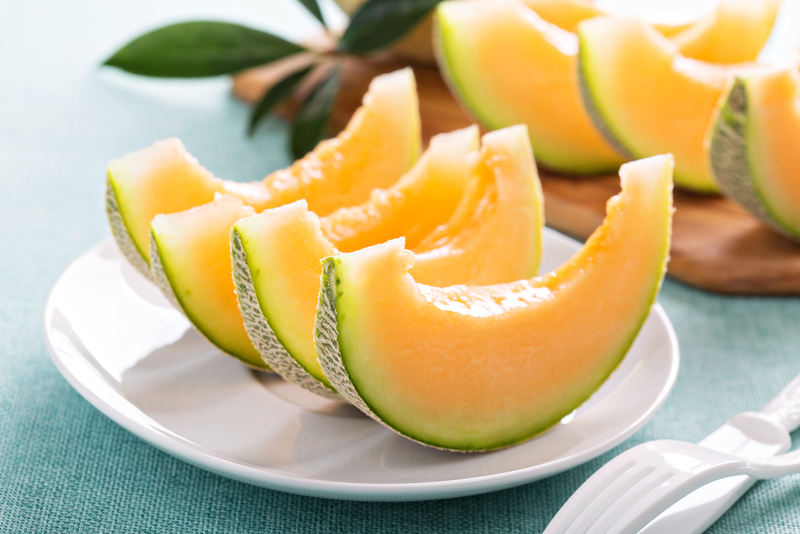 Summer is certainly the best time of year for eating all varieties of melons; off-season they can be hard and slightly tasteless, so enjoy right now! Although containing slightly less nutrients than its counterparts, watermelon is fantastic at rehydrating the body, particularly during the summer months. In fact, just a two-cup serving of watermelon provides enough daily potassium to keep the body properly hydrated at a cellular level. This will help to avoid muscle cramps, maintain energy levels but also help to stimulate the kidneys to work more efficiently. 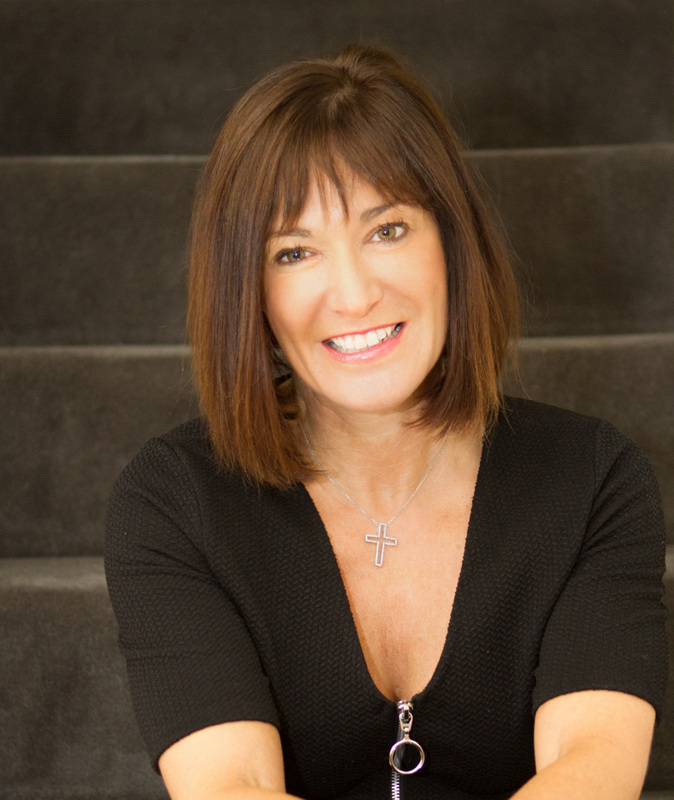 The effect will also ensure your ‘waterworks’ function nicely! One lesser-known fact about watermelon is that it has been called ‘nature’s natural Viagra’, and for very good reason! Watermelon is high in citrulline, which is converted in the body to the amino acid, arginine, which helps to dilate blood vessels. This in turn, can support erectile function. 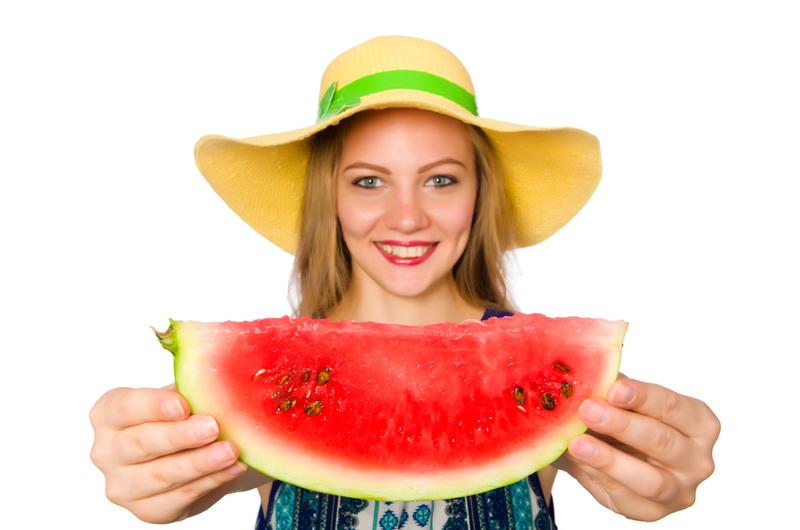 Watermelons also contain more lycopene (a powerful antioxidant) than tomatoes. 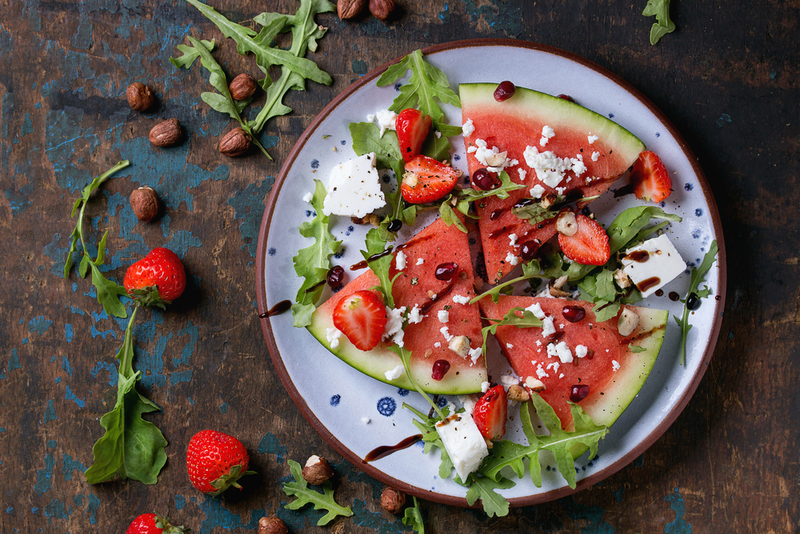 Because lycopene is fat-soluble, it’s always best eaten with healthy fats such as nuts, seeds, avocadoes, and live yoghurt or with a cheese such as feta. 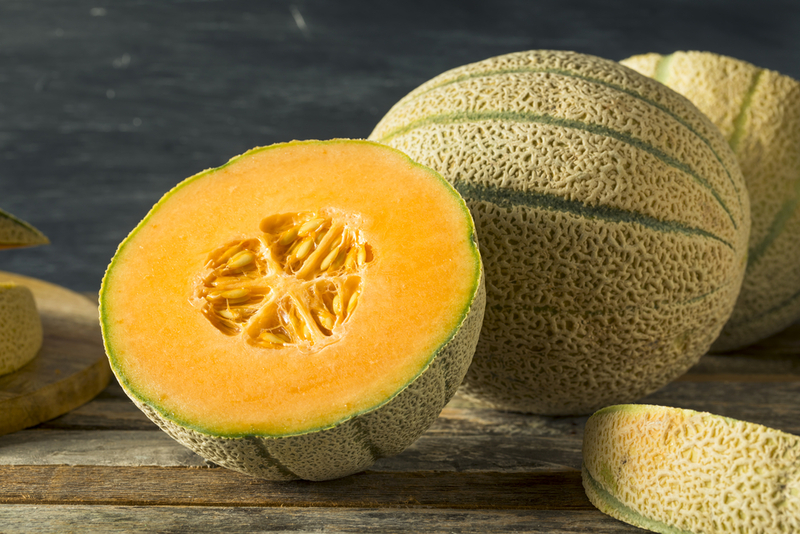 Cantaloupe holds its wonderful health benefits within its beautiful orange-coloured flesh. It’s the orange colour that provides one of its most important nutrients – beta carotene. Cantaloupe also contains a range of carotenoids which are all powerful antioxidants. They have been linked to the prevention of free radical damage to cells which leads to some of our most common degenerative diseases. Cantaloupes are actually the most nutritious of all melon varieties with a 100 g portion providing around half of our recommended intake of vitamin C. Additionally, they’re a great source of lutein and zeaxanthin, two other carotenoids which are particularly beneficial for the eyesight. Cantaloupes are also a good source of potassium and other electrolytes, making them a great post-exercise snack after you’ve worked out! 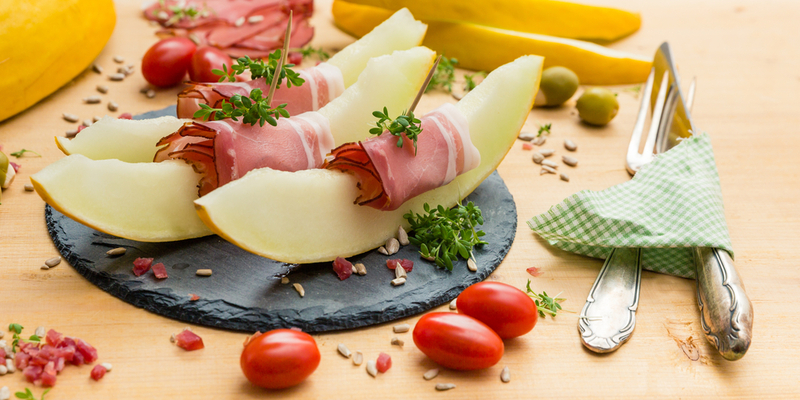 This is the melon most often paired with Parma ham; the salty taste of the ham and the sweetness of the melon make a perfect partnership! Honeydews are the sweetest of all melons when ripe, plus, the alkalinity of the melon helps to balance the acidity of the ham. They’re also popular in salads and other desserts. Honeydews are a perfect fresh summer treat and work particularly well in smoothies or as an accompaniment to walnuts and chicken in a salad. Nutritionally, they don’t provide quite as much vitamin C as cantaloupes, but still provide pretty good amounts. Honeydews also provide a good balance of both soluble and insoluble fibre (and the body needs both). Soluble fibre helps regulate digestion and insoluble fibre is the roughage the body needs to keep the bowels moving regularly. So whichever variety you choose, make sure your summer meal plans include some marvellous melons!